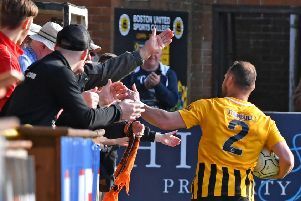 Boston United Ladies could could be crowned league champions on Sunday. Lee Mitchell’s side will host Grimsby Borough at the Jakemans Stadium, knowing that victory would see them clinch the East Midlands Women’s League Division One North title with three games to spare. Entry costs £2 for adults while under 16s go free.